​​“A gripping adventure in which 13 young Anishinaabe (Ojibwe) seek to regain the honor of their band. As the Anishinaabe (Ojibwe) slowly migrated into the Lake Superior region centuries ago, they were met by a potent adversary—the Dakota (Sioux) who fiercely resisted their spread into its territory. Gradually the Anishinaabe pushed them out of the northern woodlands and into the plains to the south. 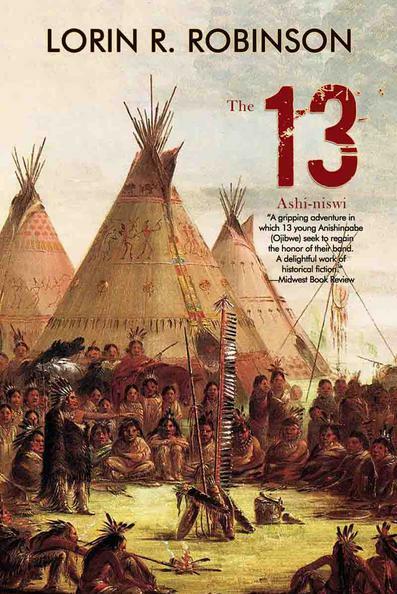 This long-running and bloody conflict lies at the heart of the story of Ashi-niswi, The 13.